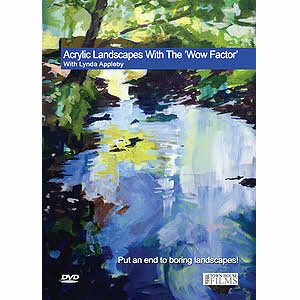 Lynda Appleby is a professional artist whose work ranges from delicate emotive watercolours to dynamic, powerful large-size acrylic paintings that capture the essence of the landscape in the way that photographs cannot. Multi-talented, she is an illustrator, architectural portrait painter, art tutor and imaginative landscape artist. Her work is growing in popularity and is now sought after by discerning collectors, galleries and clients, such as the BBC, BP, the Duchy of Cornwall and the National Trust. Her work is also winning prizes in many exhibitions and, more recently, she has been sourced by one of England's finest houses – Halswell in Somerset – to paint numerous portraits of their house and grounds.